These monographs are published for the IAI by, LIT Verlag. Distributed in the UK by Central Books. . Distributed in North America by Transaction Publishers, orders[AT]transactionspub.com. 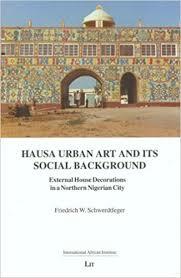 …a long-awaited publication for those familiar with the author’s shorter, but seminal work Traditional Houses in African Cities (1982). The present monograph represents an expert distillation of the complex weave of building-craft technique with magic, religious practice, social identity, economics and aesthetic judgement. The scholarship is meticulous and, undoubtedly, the book’s rich data will be mined by architectural historians, anthropologists and Africanists for years to come. – Trevor Marchand, Africa. A rare study of German colonialism in Africa. Its geographical focus is the Caprivi strip an eccentric panhandle created by the Anglo-German Treaty of 1890. The Strip juts eastwards from South West Africa (today’s Namibia) to the Zambezi River, and separates German and British colonial territories. Using insights and evidence drawn from African customary law, anthropology and archaeology, it delineates the imposition of German imperialism during its short period of ascendancy, 1884–1915. 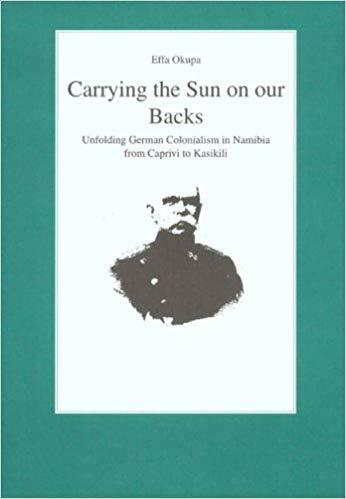 Covers the somewhat neglected uprising that pitted the Otjiherero, Nama and Damara peoples of South West Africa in an extraordinarily unequal, brutal and prolonged war of resistance against German imperialism from 1904. 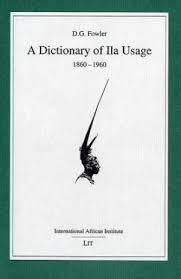 This book is a series of extracts from A Dictionary of Ila Usage (see below) arranged by subject, with a commentary, it provides record of life in a Central African village around a century ago. It originated in conversations recorded by Methodist missionaries as they attempted to learn the language and customs of the Ila people. What began as a vocabulary with examples ended as the self-portrait of a people and a way of life. Dennis Fowler worked with the Ila from 1958 to 1966. As the largest body of the Ila language ever assembled, this dictionary offers much of interest in several fields. Over 12,000 items are included, and appendices list nearly 2,000 synonyms, 276 proverbs, 164 metaphors, 216 customs, 400 trees with their medical uses, 290 plants, 150 birds, and grammatical tables. Dennis G. Fowler worked as a missionary for eight years in Zambia, mainly among the Ila people in the Kafue Flats. The Bibliography of indigenous African law ranges widely over topics as diverse as cultural property, coups d'état and the plunder of antiquities, child betrothal, divorce, sororate marriage, levirate marriage, to succession and inheritance, oral will, and the administration of estate. ‘This unusual bibliography crosses boundaries of countries and disciplines. It will be an invaluable aid to many different lines of research.' – Professor William Twining, University College London. Effa Okupa is a Research Fellow in the Faculty of Law, University of Namibia. Kuria-speaking people number about 1 million, with a homeland stretching from Kuria District in southwest Kenya through to north and south Mara in northern Tanzania. This is the first published dictionary of their language. It has been compiled especially with a view to its practical use, employing the standard Swahili orthography and avoiding complex grammatical notation. Intended partly as a record of the language, and thus of use to comparative linguists, it will be essential to anyone wishing to learn Kuria, including non-Kuria working in the areas of Kenya and Tanzania where Kuria is spoken. It should be of interest to Kuria themselves, not least to Kuria school pupils looking for direct access to English through their own language. Benedict Mwita oMagige was a teacher who made an extensive collection of Kuria proverbs. Malcolm J Ruel is a social anthropologist who compiled the original wordlist from this dictionary has developed. A wide ranging interpretation of the history of Morocco linking the macro-history of Europe and the Middle East with the micro-history of Morocco. Covering the mediaeval period through to the present, and using a Marxist approach, the author seeks to explain the roots of Moroccan underdevelopment in terms of the country's internal and external relations. Medical herbalism is perhaps the most widespread and most ancient form of therapy. 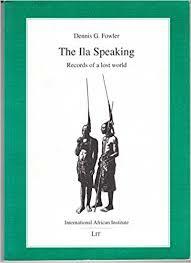 This book describes in detail one such herbalist tradition found in southern Malawi. Offering the first comprehensive examination of medical herbalism in Malawi, this study combines anthropological and botanical insights into medical herbalism. The book is divided into two parts: the first outlines the ethnographic context of the herbalist tradition with discussion of Chewa ethno-botany and local classification of plants; the various categories of medicine that are expressed in the local culture; the nature and scope of folk herbalism, its practitioners and its relation to biomedicine, local conceptions of disease; and beliefs relating to witchcraft and divination. The second part, which incorporates the researches of a Malawian chemist, Jerome Msonthis, contains detailed information on over 500 Malawian plants with notes on their local names, distribution, botanical descriptions and various medicinal uses. Brian Morris is Reader in Anthropology at Goldsmiths College, University of London.